A unique formulation containing a blend of all natural herbs. 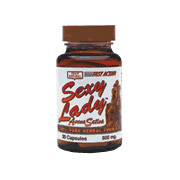 Formulated for women who lead a more active lifestyle. With Wild Oats and Yohimbe Bark.